Out of Place explores the notion of finding oneself elsewhere, and the version of self found once there. Interlocation and identification come to the forefront as one makes sense of their surroundings. Previously unknown stimuli affect the ways in which we consider and construct versions of ourselves. In this displacement, an inquiry begins. It is within the space of knowing and not knowing that this exhibition takes shape. 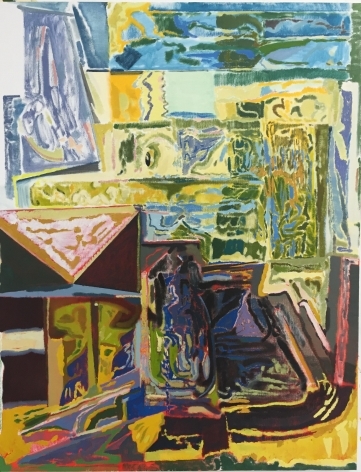 Shara Hughes’s landscapes joyously subvert the familiar with gestural renderings of space, frame, and presence. Danial Noonan’s works weave in and out of focus, constructing a suspended understanding of self and place. Jacqueline Cedar draws the viewer into a surreal dimension of figurative abstraction with bold line and color. Jay Davis places his precisely rendered objects in spaces with unlike others, contributing to a spatial and cognitive dissonance. We are constantly in conversation with the environment surrounding us: we influence it, it influences us. In the confusion a new awareness begins to form. Amidst the unfamiliar landscape associations connect lived experiences and fantastic futures, and though out of place one can find themselves in it. 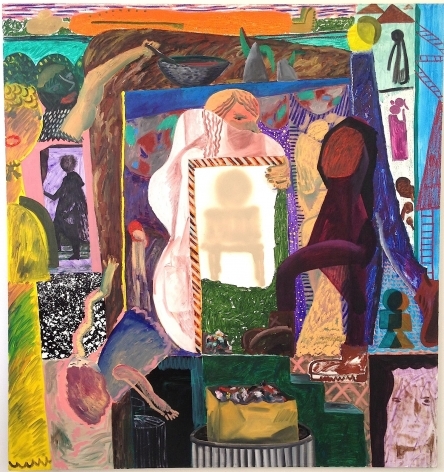 Shara Hughes studied painting at the Rhode Island School of Design earning her BFA in 2004. 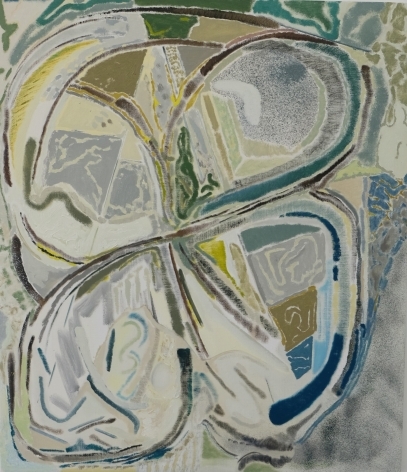 Immediately after graduating from RISD, she has attended residencies across the country at the Anderson Ranch Arts Center in Snowmass CO, the Vermont Studio Center in Johnson VT, Ox­Bow in Saugatuck MI. From there Shara had her first solo show at Rivington Arms in 2007. Shara spent two summers in Denmark at a studio house under Mikael Andersen Gallery producing work for shows in both Scandanavia and Berlin in 2008 and 2009. From there, she moved to Atlanta GA. 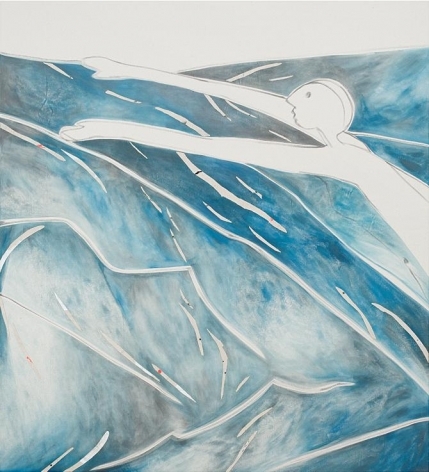 In 2011, Shara attended the Skowhegan School of Painting and Sculpture. The following year, Shara attended the Lighthouse Works residency at Fishers Island, NY in 2012. 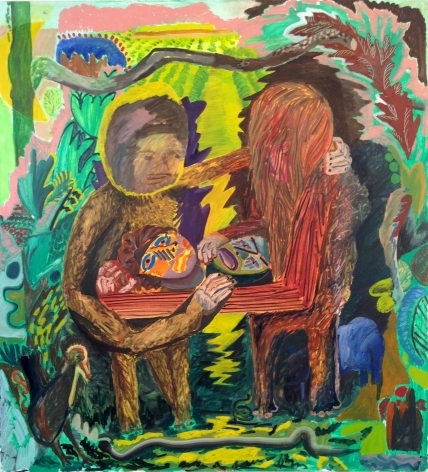 Hughes recently studied with master artist Dana Schutz at the Atlantic Center for the Arts in February of 2014. While in Atlanta Shara had two major solo shows at the Atlanta Contemporary Arts Center in April of 2013, and at the MOCA GA in April 2014. Both shows received reviews in Modern Painters and Art in America respectively. 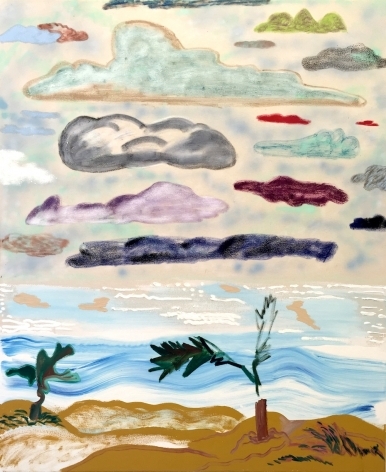 Currently, Shara Hughes lives and works in Brooklyn NY and was just featured as the Spotlight Artist in New American Paintings issue 118. Jaqueline Cedar was born in Los Angeles and lives and works in Brooklyn. She has an MFA in Painting from Columbia University and BA in Art from UCLA. She recently exhibited at 106 Green Gallery, Brooklyn and Wharton + Espinosa Gallery, LA. She has been included in shows at Brian Morris Gallery, NY; Fredericks & Freiser Gallery, NY; and Steven Zevitas Gallery, Boston. Recent publications include the Huffington Post and New American Paintings. Daniel Noonan attended the Victorian College of the Arts, University of Melbourne, where he received a Bachelor of Fine Arts (Painting) in 1997. 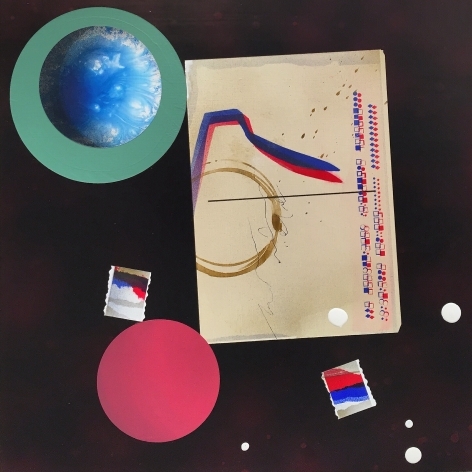 Through the late 1990’s and 2000’s Noonan exhibited in various solo and group shows in Melbourne and Sydney, during which time he was a member of the artist collective “DAMP". 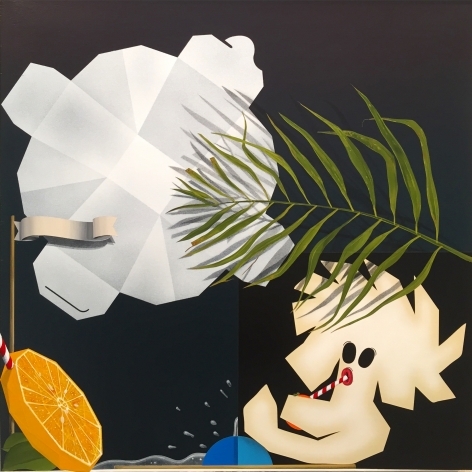 He relocated to New York in 2005 and has continued to show work in galleries in Australia including recent solo exhibitions at Tristian Koenig, Melbourne; Crossley & Scott Contemporary, Melbourne; and Kaliman Gallery, Sydney. His work is held in collections of Artbank (Australia); the National Gallery of Victoria (Australia); and the collections of James Mollison AO; John McBride; Joyce Nissan Collection; as well as private collections in the United States and Europe. Jay Davis (b. 1975, Charleston, SC) lives and works in Brooklyn, NY. He received his BFA from the Ringling School of Art and Design and attended AICAD/New York Studio Residency Program. He was a recipient of a New York Foundation Fellowship for The Arts in Painting, 2010. His work is included in numerous collections in the United States and abroad including the Zabludowicz Collection, Progressive Insurance, Charles Saatchi, Deutsche Bank, JP Morgan Chase, and Wellington Wealth Management Services, among others.